"Delicious chili recipe and the whole family loves it." Spread chili evenly over the bottom of the dish. Arrange processed cheese in a single layer over the chili. Mix cornbread mix with water in a large bowl until smooth. Spread evenly over processed cheese. Bake in the preheated oven until chili is heated through and cornbread topping is golden brown, 25 to 30 minutes. A sweet ‘n’ salty brunch winner! Substitute your favorite homemade chili for the canned chili with beans if desired. 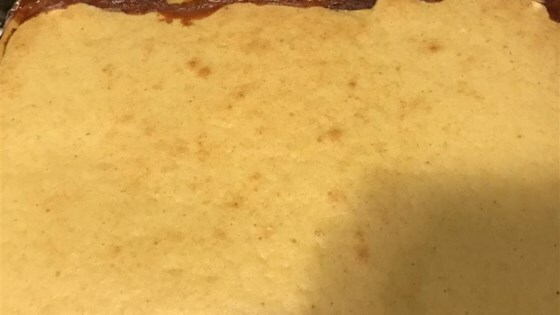 The directions for making the cornbread topping are based on the particular brand mentioned. Follow instructions on the box if using a different brand.